Is it possible to transform robots into artificial agents that interact with human beings in accordance with socio-cultural norms? Nicolas Navarro Guerrero designs robots that can take part in meaningful social relationships with people. This requires advanced algorithms, but also a thorough understanding of psychological and philosophical dynamics in the user context. Photo: Lars Kruse. Social robots are designed to engage humans in social interactions by presenting themselves—in appearance or behaviour—as intelligent social agents. However, the goal of building robots to participate in the space of human interaction raises new technological, empirical and normative questions. In the intersection between technology, psychology, anthropology and philosophy, researchers across faculties and academic disciplines are working on an immensely ambitious project. They are creating a new methodology to develop artificial intelligence that will provide robots with situational awareness and make it possible for them to adapt to different contexts and users. “Social robotics marks a new and very important relationship between engineering and the humanities. If we’re to succeed in creating robotic technology that can contribute positively to our future, it’s vital that we take our outset in what technology needs, but more importantly in the needs and values of people,” says Associate Professor Nicolas Navarro Guerrero. He is coordinating activities in the university’s AU Social Robotics Lab, and he is also responsible for developing robots for several different social purposes. 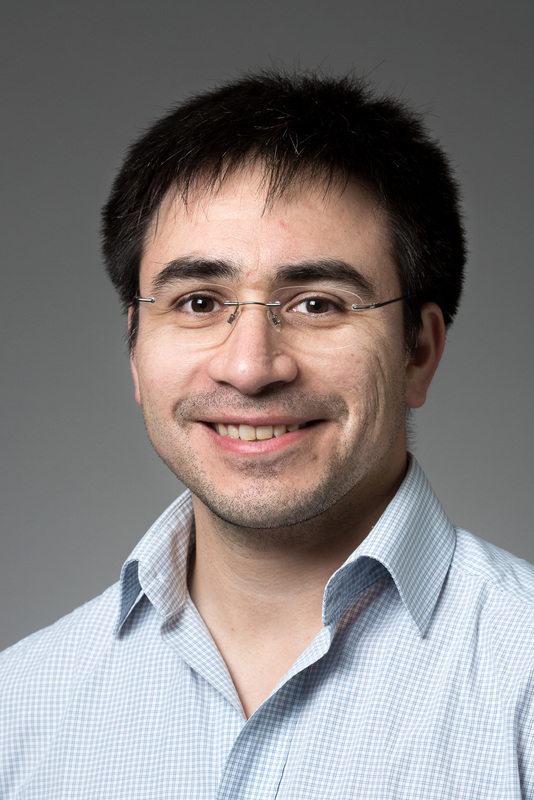 Assistant Professor Navarro Guerrero has been working with robots and machine learning for most of his academic career, and his goal now is to design new algorithms that can add a degree of artificial intelligence to robots so that they can understand and respond to the dynamics between the environment, people and other robots. “The problem with the robots we know today is basically that they behave very clumsily If we hope to integrate robots into our social lives positively, we’ll have to understand people’s needs and values and teach robots to decode human norms and how to adapt to them. This requires highly specialised knowledge about hardware and software development. But it also requires an equally deep knowledge of the human and societal implications of such technology,” he says. Researchers at the AU Social Robotics Lab have developed and are refining a methodological and theoretical framework whereby they can experiment with giving robots social intelligence in different contexts, and in parallel with the technological development, they are investigating the psychological and ethical implications. They have named the multidisciplinary scientific discipline “Integrative Social Robotics”. ”Since we can’t anticipate the long-term effects of widespread use of social robots, we need to envisage new forms of research organisation that will enable us to regulate social robotics applications from the start, and not, as currently, after the fact. Integrative Social Robotics is a new strategy for developing social robotics applications that includes strong focus on human interaction and value-driven design,” says Nicolas Navarro Guerrero. Several of the interdisciplinary robot experiments involve recent research about the pre-conscious cognitive mechanisms. Our brain seems to process perceptual information about fellow human beings in special ways, creating the distinctive mode of “social cognition” which involves emotional evaluations. Robots give us a chance to explore these mechanisms of “implicit social cognition” in further detail, since the design and movement of a robot partly do trigger such mechanisms and partly don’t. “Making the robot act autonomously and appropriately in a social interaction is an extremely complex technological challenge," says Nicolas Navarro Guerrero. “There are a number of elements in social interaction that can be exploited to create smooth social interactions while at the same time playing with our pre-conscious mechanisms of social cognition. For example, if a robot, like a child, follows the gaze of a person, the person will receive the impression that the robot tries to understand and collaborate with the human.” Such research matters given in the course of the next two decades all of us we may come to directly collaborate with robots. "At the moment we’re working on refining the robot's tone of voice, and head and eye movements. Everyone knows how robots talk in a very monotonous tone and have a rigid, staring gaze without human characteristics. This is a really bad starting point for social interaction," says Nicolas Navarro Guerrero. The team currently works with and on robots developed by other research teams as well as commercial robots; soon, however, the AU Social Robotics Lab will be building its own robots, based on its own sophisticated design principles that pursue the ambitious goal of using social robots in order to realize what matters in a human life. The production of robots with “social skills” or even “social intelligence”—drives a technological revolution of possibly unprecedented disruptive potential, both at the socio-economic and the socio-cultural level. “Integrative Social Robotics” (ISR) is a new strategy for developing social robotics applications—it tightly integrates robotics research with a wide scope of research disciplines that investigate human social interactions, including empirical, conceptual and value-theoretical research in the Humanities,” Johanna Seibt, School of Culture and Society, Faculty of Arts, Aarhus University.